The power and float of this board combined, makes me smile every time I ride it. The magna-traction style sidecut holds strong in all types of snow conditions. The fast base with high-end materials actually feel fast (worth the cost increase for 2014). In the end, camber under feet and reversed camber float in the tip and tail is the winning ticket for me. The deck is too narrow to be a proper “wide” model, coming in at 26.1mm waist width. I get toe and heal drag with my big feet and do get taken down by it while riding groomers. This may not be an issue for you though. There is serious a lack of sidecut. I prefer a more sidecut to lay into a groomed trail with. It’s not a concern for powder but more sidecut means more fun on hardpack. If you are reading this review, I’ll assume you have seen the YES team riders slaying deep British Columbian terrain on this board. I too have seen their video parts and wanted a board that rides powder the like DCP does on his pro-model Pick Your Line board. A combination of float, air-time, and stability was what I was looking for. The Pick Your Line rides as advertised. 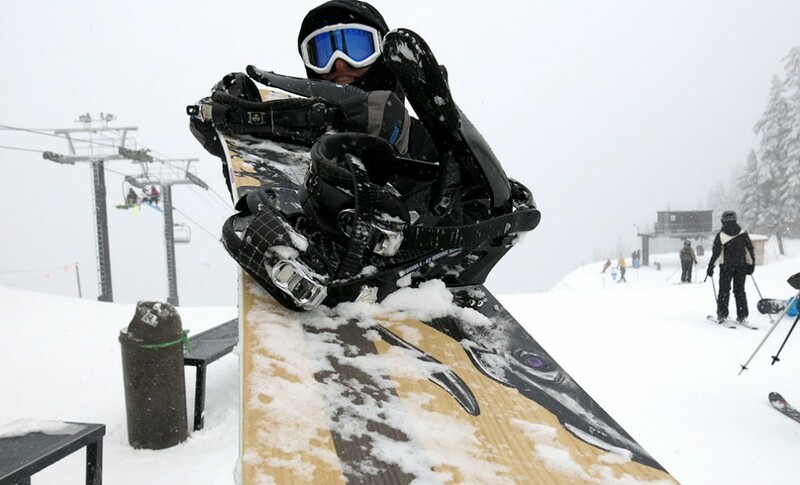 Its a big-mountain weapon that floats effortlessly in deep snow but has a surprisingly stable and normal feeling under foot for being such a powder machine. My one note of caution is that it’s a stiff deck, beware for you are about to be taken for a ride. The board was stiffer than I expected. This throw me off for a run or two until I started using it to my advantage. 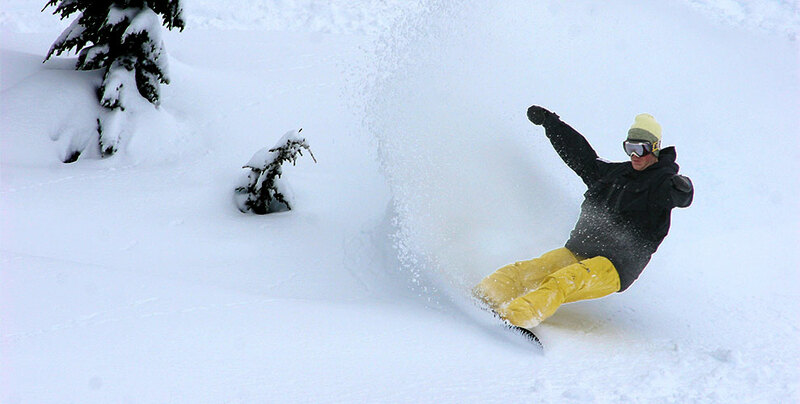 In powder, it’s not an issue, there are no issues when riding deep snow. Once the powder is chopped up, the stiff core becomes your best friend. I felt very powerful and confident in chop and moguls. I found myself ridding fast through choppy snow, hunting for leftover stashes while other riders admitted defeat. And guess what, there were a lot of stashes left. The raised tip and tail, although very subtle in appearance, create nice floatation in the deep snow. I don’t ride reverse camber boards, so this is coming from a traditional cambered guy, but this board floats well. It recovers from a drops with confidence, quickly popping out of deep snow. The raised tail and narrow width makes for a fast pivoting board under the rear foot. This meant that I could take more speed into a tight line and easily scrub off speed if things got hairy with a pivot or a few quick turns. After a season no the board, ridden on powder days and the day after when the terrain is still choppy, I’m thrilled with it’s performance and highly recommend this board. It can be ridden any day of the season on any terrain but I feel that’s its too stiff for a park day or playful spring conditions. A favorite memory from the season is from a powder day at Mt. Hood riding Private Reserve. 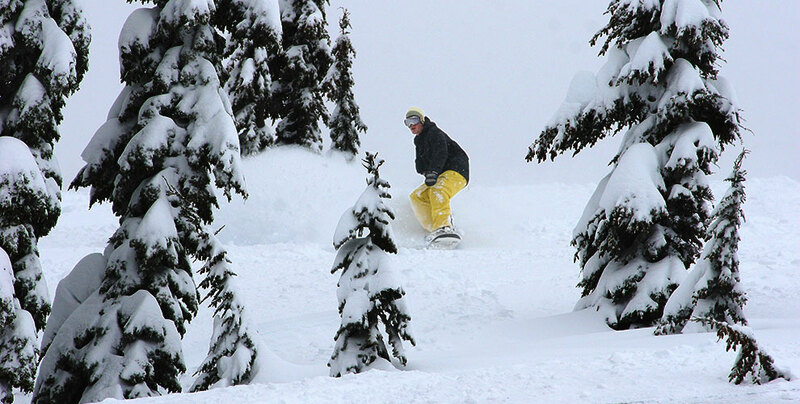 There is a groomed jump line into a steep 500ft vertical drop wall of Northwest forested, deep powder terrain. I only hit the conditions right once all season. 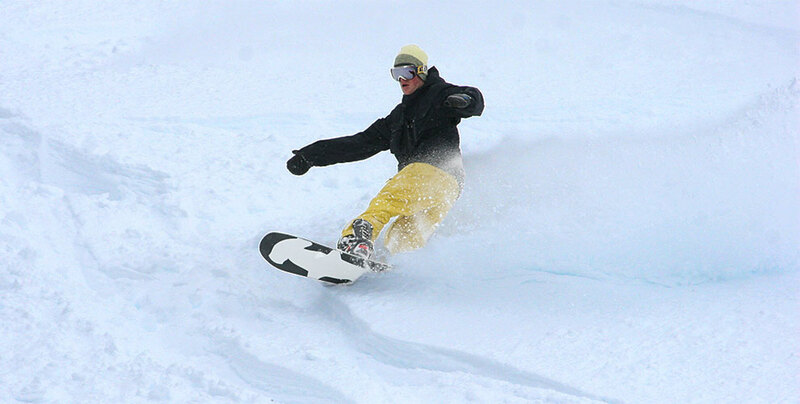 I was hesitant to ride the stiff board with sharp edged aggressively through the jump line. I started to feel the flow by my final lap, number four. I had a great jump line with my favorite front three of the season on a twenty plus foot step-down. The stiff board popped so well, feeling so tight. I took it deep down the landing, far past twenty, stomping the jump and off into a pow line, slashing and airing my way to the bottom. That lap was proof that the Pick Your Line will ride the whole mountain.